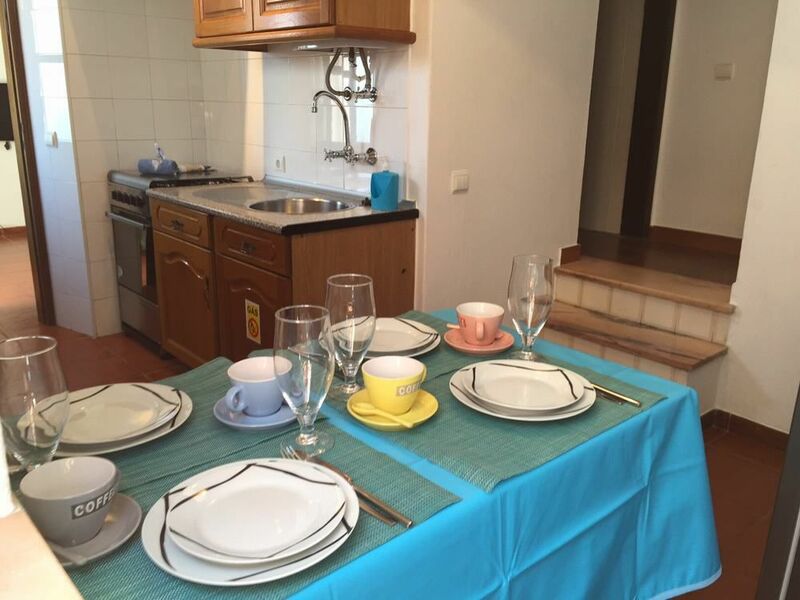 With this apartment it is all about location! The views from the bedrooms are really stunning. 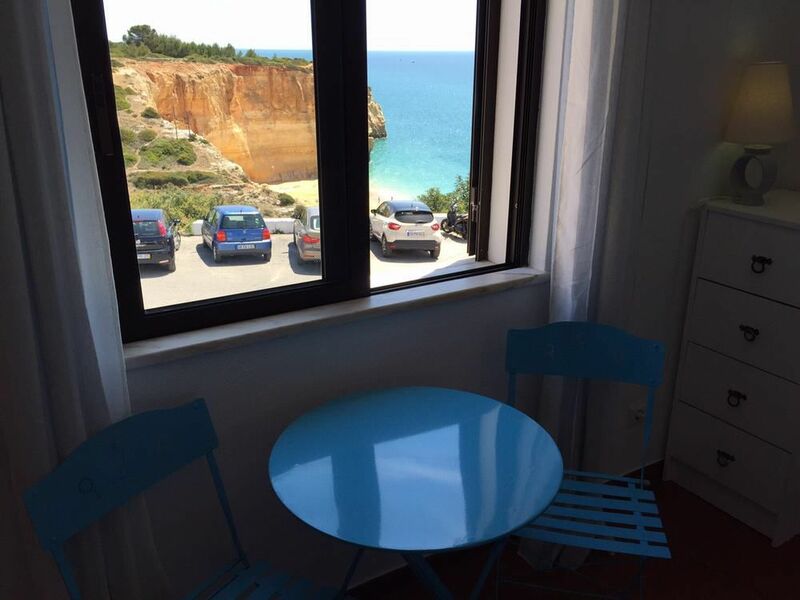 You are overlooking the beach of Benagil, the ocean and the typical cliffs of this area. 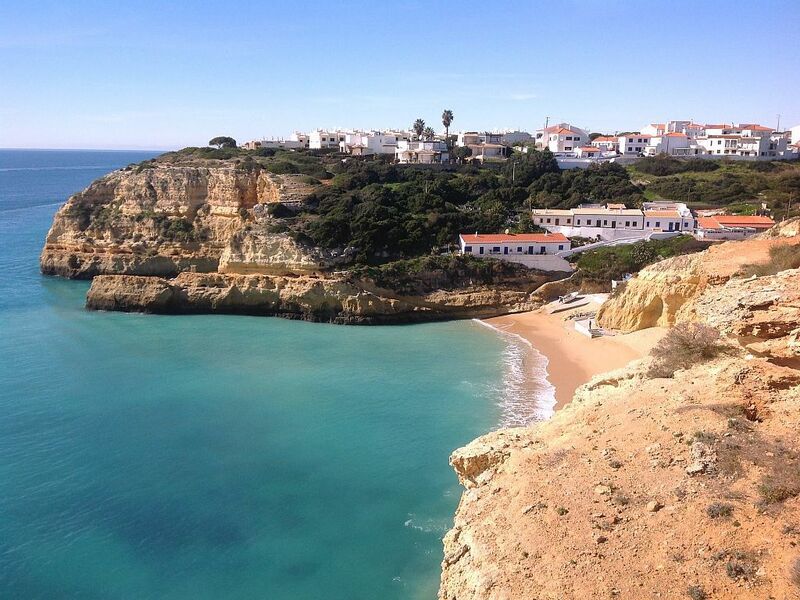 When you take the stairs on the other side of the road, you will end up at the beach of Benagil. 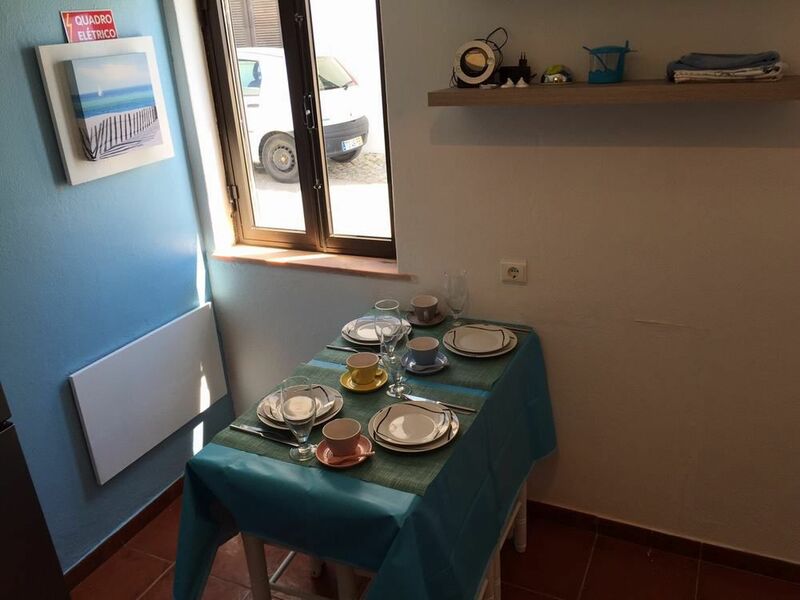 Right next to the house you will find the nice and cheap restaurant Brisa do Mar. Very convenient. More restaurants you will find at walking distance. 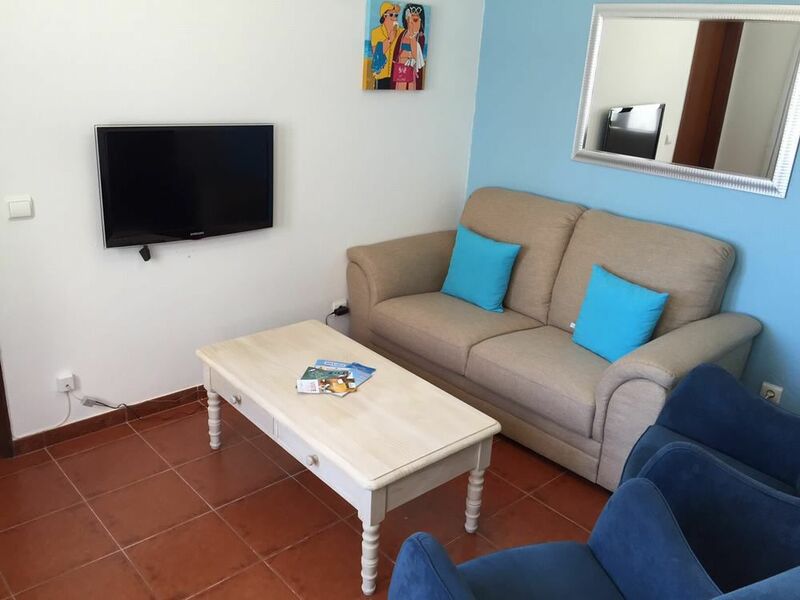 Equipment: Washing machine, oven, microwave, fridge/freezer, WiFi, satellite television (German, Dutch, English news channels, many other international TV channels). 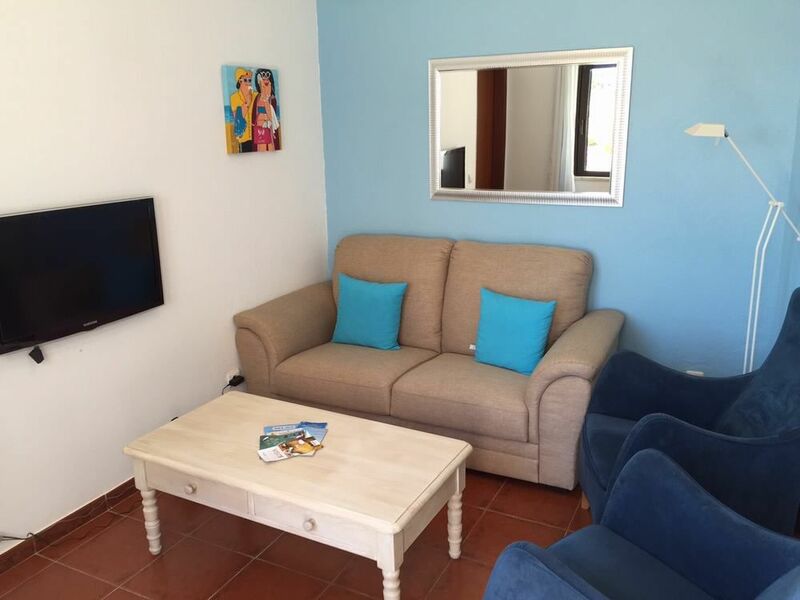 The living room of Casa Brisa de Mar is not big, but it is decorated in a very tastefull and comfortable way. 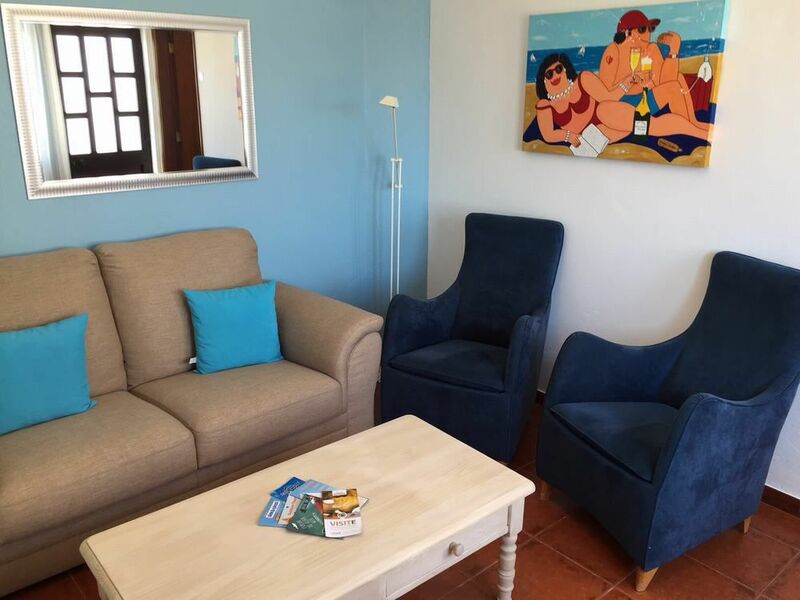 In this room you will find a couch for two people, a coffee table and two blue comfortable chairs. The television offers all Dutch, German and some International (English) channels. Wi-Fi is also available free of charge. 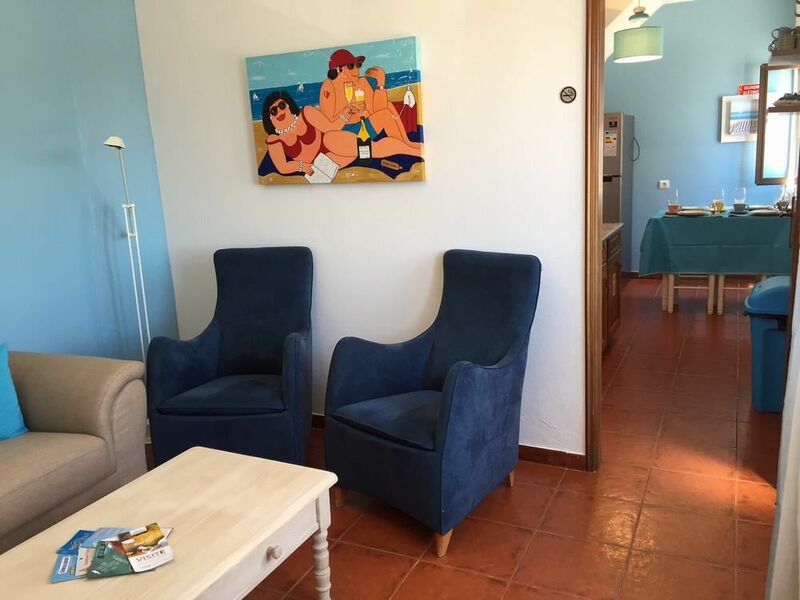 The art on the walls is form local artist Madeleine van Kleef. The apartment has two bedrooms. 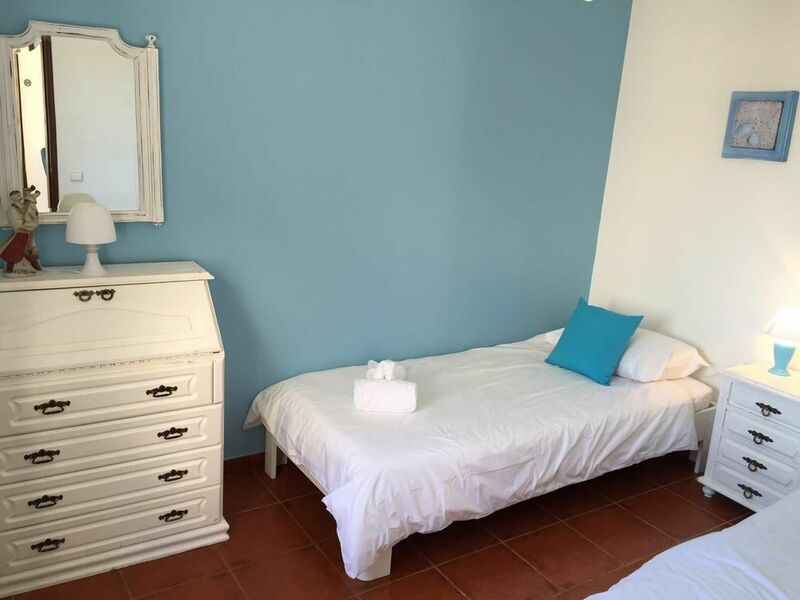 The first bedroom is downstairs and has two good single beds (200cm x 90cm). From the window you have ocean view. The second bedroom you will find on the first floor. 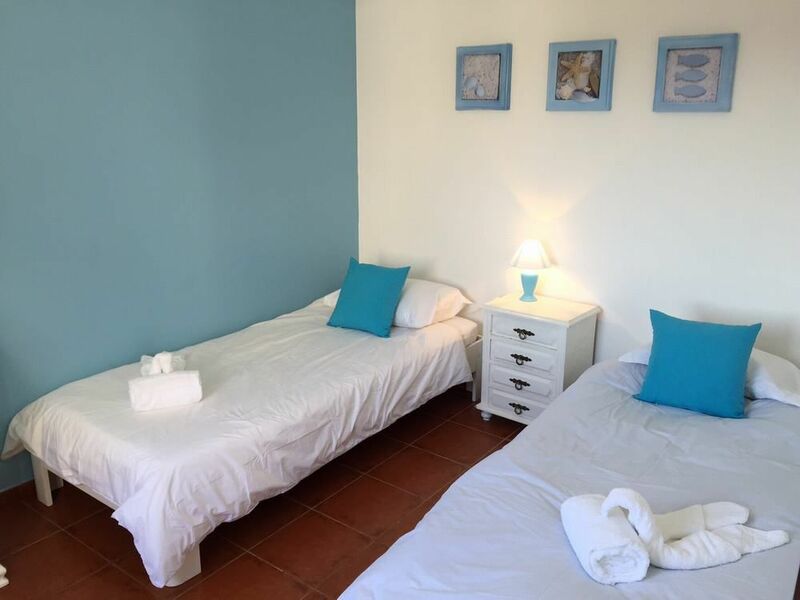 This room has a double bed, but consisting out of two seperate mattrasses (200cmx90cm). Built-in cabinets are available here as well. The view from this room is really stunning! 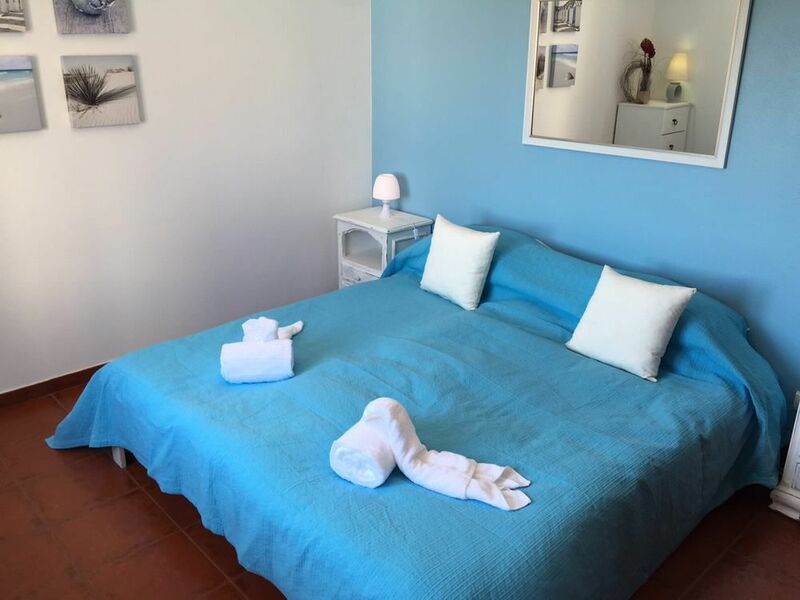 Don´t you want to wake up with the sound and the view of the Atlantic Ocean? Amazing! 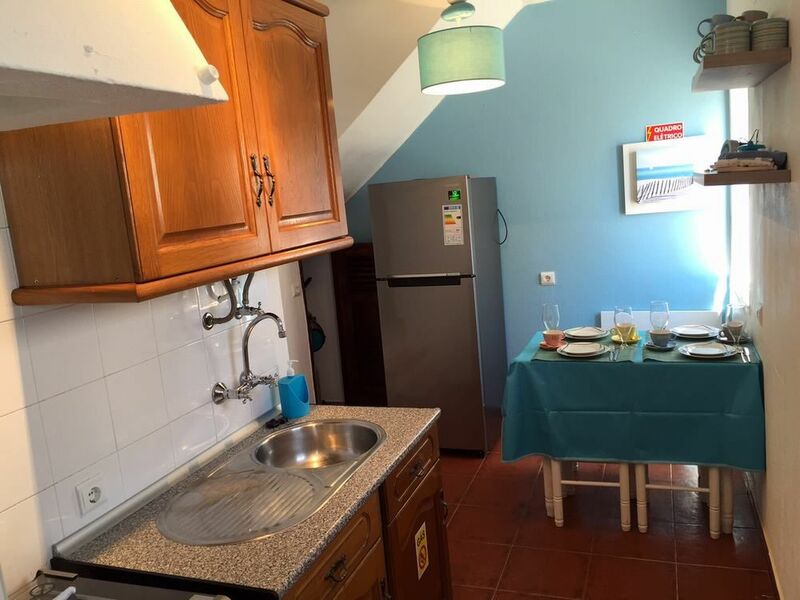 Brisa do Mar has two bathrooms. 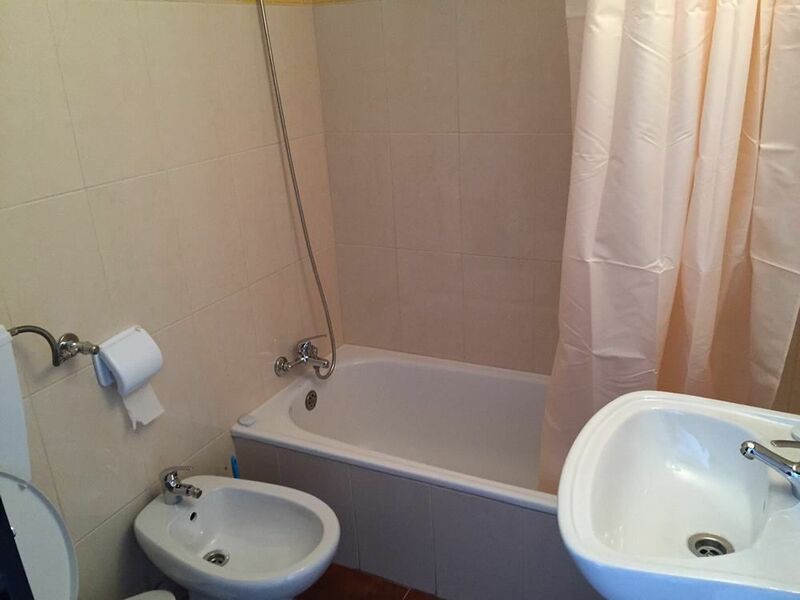 Downstairs there is a bathroom with a bath, toilet and a single sink. 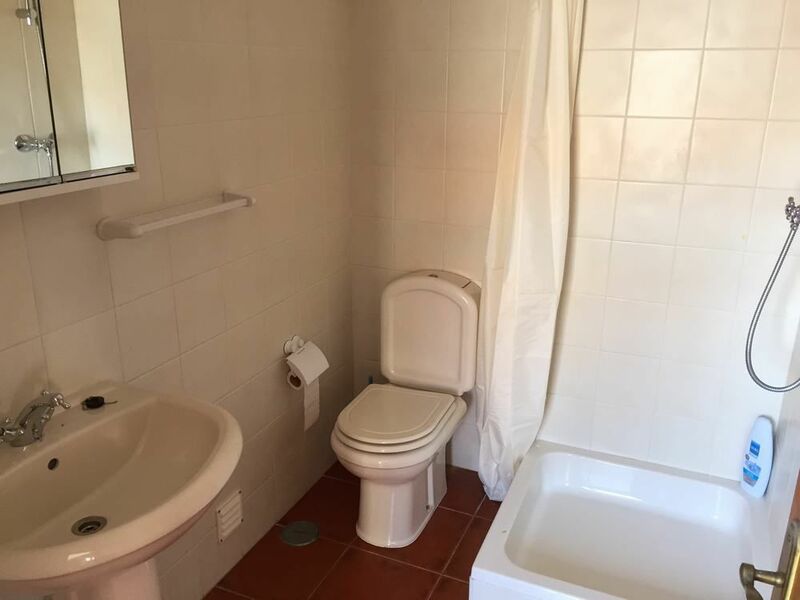 On the first floor there is a bathroom with shower, toilet and a single sink. 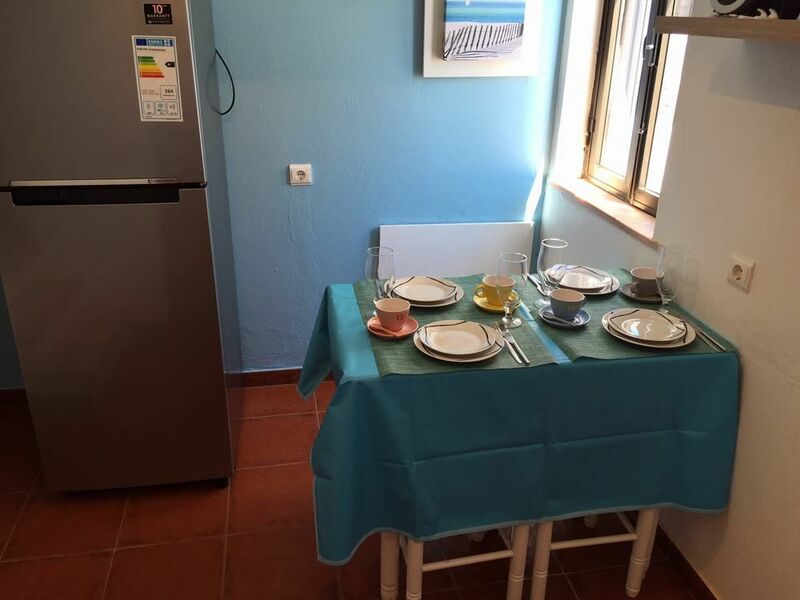 The kitchen is simple, but all necessary equipment is there like a stove (gas cooking), oven, fridge-freezer and a microwave. In this space you will find a table and four seats. The beach is your garden! 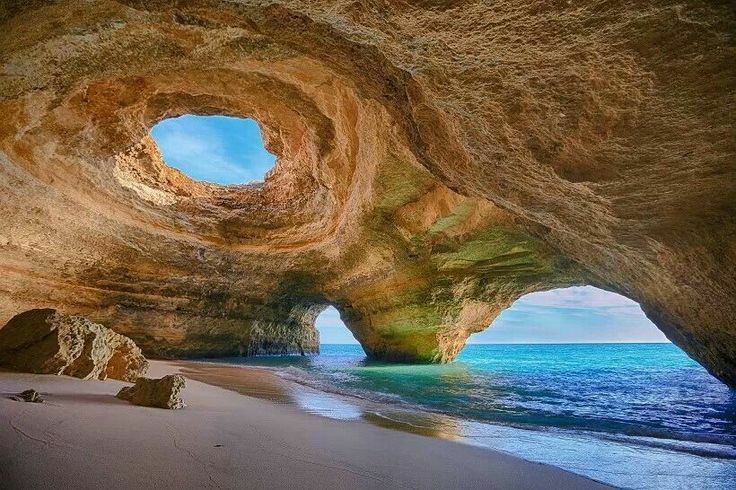 At only 50 meters you will find the pretty beach of Benagil. 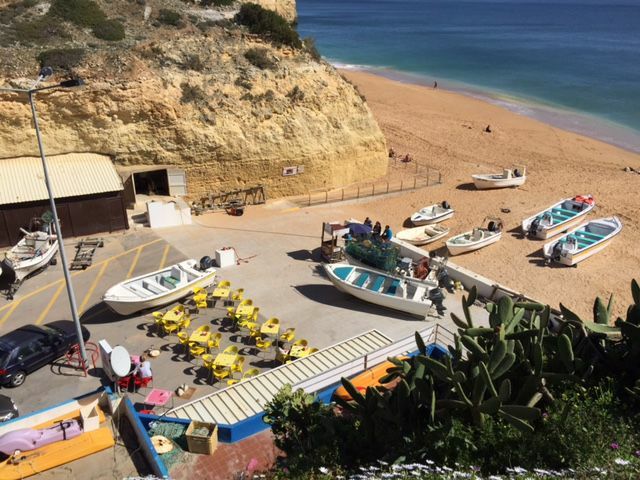 This beach also offers a small restaurant where you can enjoy a bite and a drink. 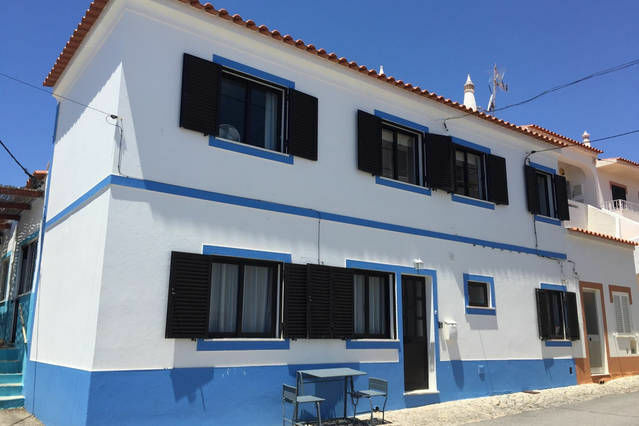 Right next to the house there is the Brisa do Mar Restaurant. 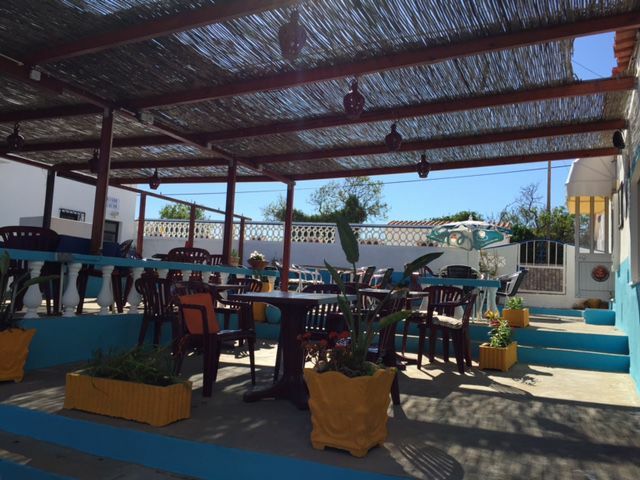 This is a good and cheap restaurant where you can enjoy a meal at the terrace. How convenient! 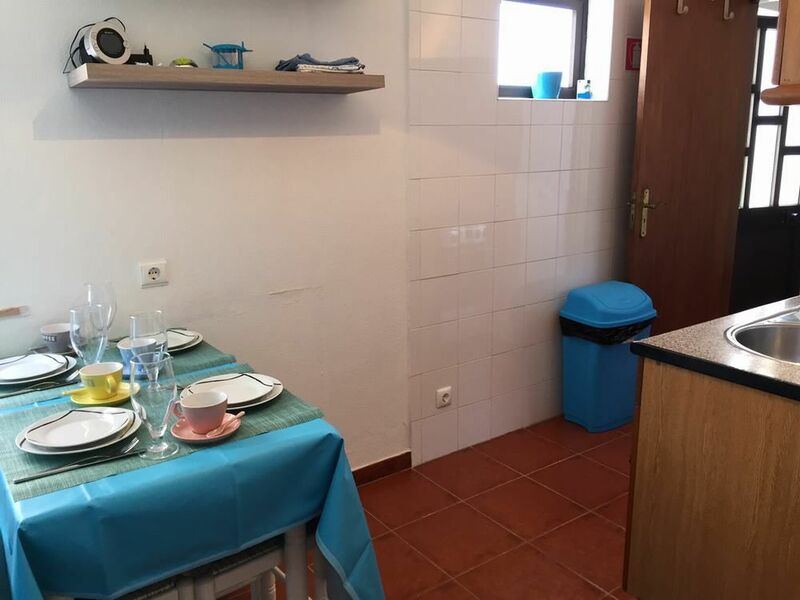 The apartment doesn´t have a real outside, but on the street, next to the front door (against the wall), you will find a small table and two chairs. 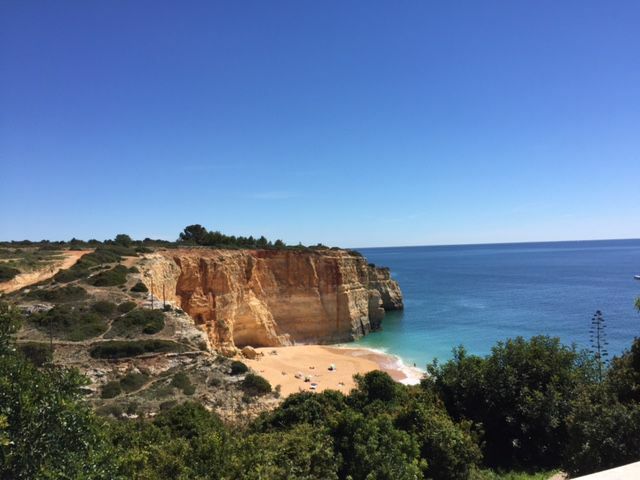 If you walk 5 minutes to the other direction, you will end up at another lovely beach called Praia do Carvalho. This is also a beautiful beach with the well known pilar in the middle. A dream location! 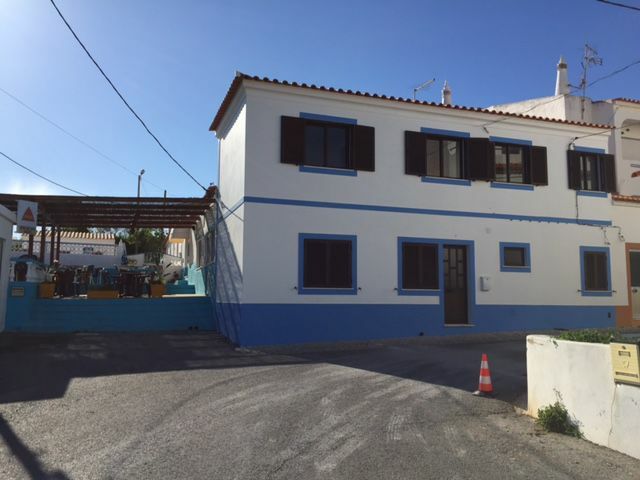 The house is located in the small fisherman´s village of Benagil. 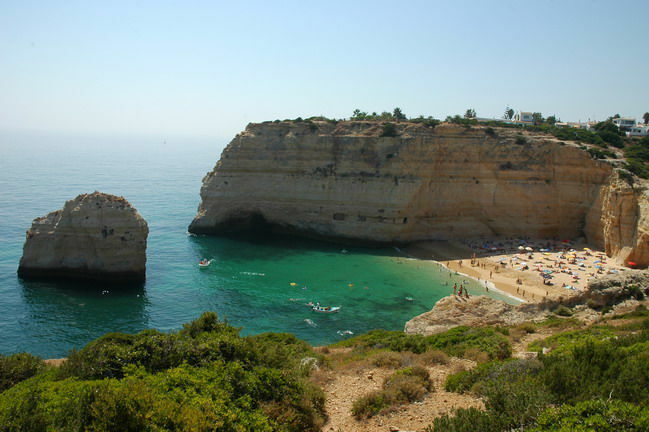 In this village you will find the two lovely beaches of Carvalho and the Benagil Beach. 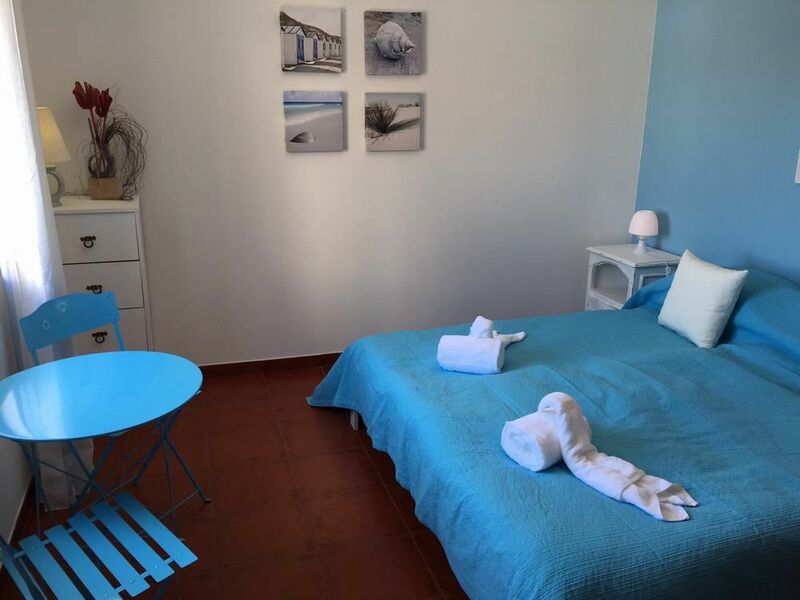 Around the latter you will find some good restaurants at walking distance, and you can take a boat trip to visit the famous caves and see the impressive rock formations You can also make beautiful cliffwalks. 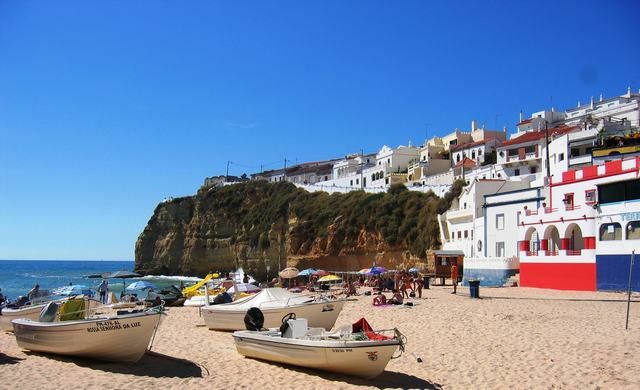 The lively village of Carvoeiro with its many restaurants, bars and shops is only at a 5 km distance. 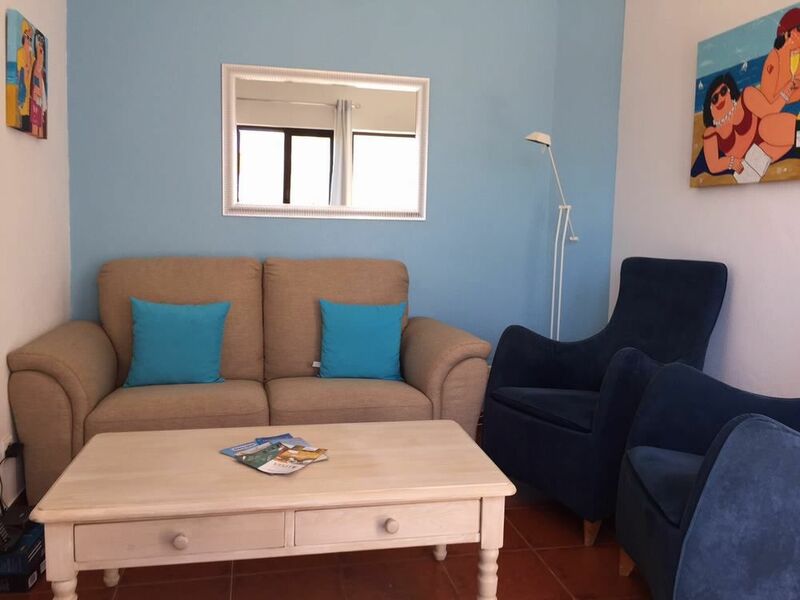 A great place for your holidays!